When we think of the ocean, the continuous motion of waves often comes to mind. These waves are capable of sinking large ships, toppling oil rigs, and destroying coastal homes. Your students will see how math is involved in every aspect of studying waves—their height, speed, energy, and effect on coastal communities. •Use distance/rate/time formulas to determine the speed of a storm. 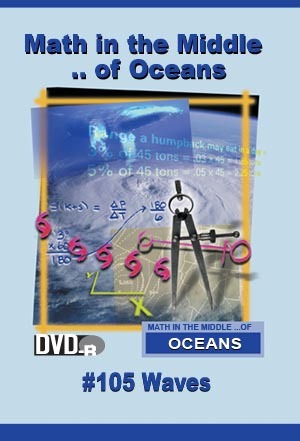 •Construct and solve equations relating to water depth. •Use wavelength and wave period to determine the speed of waves.